Your air conditioning system is the feature of your car that keeps your cabin cool and free from odours. It increases comfort immensely for you and your vehicle’s occupants. This Bank Holiday we will all be heading onto the roads – and if the weather holds up then your air conditioning will be working hard to keep your chilled in the traffic jams! 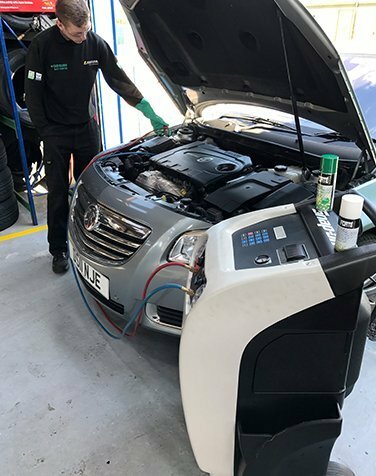 So, if you have an odd odour in the car, or your air-con is blowing warm air then it’s time to get it sorted with an Ellesmere Port Air Conditioning service from Car Clinic MOT Centre: We offer affordable servicing and air conditioning recharging by our fully trained technicians. It’s quick and easy to book an air con regas in Ellesmere Port. Just call us at Car Clinic MOT Centre today to book your Snap-On Ellesmere Port air conditioning service, or pop into our Ellesmere Port garage for a free air-conditioning efficiency check. Our fully trained experts can take care of recharging the refrigerant in your car’s air con system and give you all the advice you need. Call today on 0151 339 0101. For a free Ellesmere Port car repairs quote or Ellesmere Port air conditioning re-gas quote just give us a call or pop in.